InnoVentum is a Malmö-based company focused on developing and commercialising exceptionally environmentally friendly, resource-efficient and aesthetically compelling renewable energy solutions: hybrid wind-solar systems, wind turbines and PV solar panel installations. To offer environmentally friendly products with the lowest possible carbon impact and noise-level, InnoVentum makes towers of wood instead of steel. Our unique designs comprise state of the art technologies in wood engineering, smart functionality, and are inspired by masterpieces and architectural landmarks. Our installations are a welcome addition to our customers’ gardens as well as in public areas. Since 2011 we have installed our solutions across three continents: Europe, Asia and Africa. We are featured in more than 80 international publications, participated in and organised a number of exciting events (e.g., Microgrids Special Event at the Vienna Energy Forum (with the Swedish Energy Agency and UNIDO), Green Cities of Tomorrow, Green Vehicle Days, Wooden Tower Design Release Event in collaboration with Tesla), took part in 2 Guinness Records in e-mobility (Germany, Denmark), installed our solutions at the global climate conference COP 22 in Marrakech and completed a microgrid installation at a remote island in Sri Lanka (commissioned by the Asian Development Bank). If you would like to write about us, have a look at our press page. Check our Milestones page for the full history of InnoVentum. To keep up to date on our endeavours, follow us on Facebook (most active), Twitter, LinkedIn, Flickr, Instagram, YouTube. We are the only provider of small-scale renewable energy solutions that offers wooden towers. Wood has the unique ability to capture and store carbon dioxide while reducing carbon sources. Each cubic metre of wood saves a total of 2 tons of carbon dioxide. In this way each of our wooden towers reduces the amount of carbon dioxide in the atmosphere, while steel towers (the industry standard right now) are associated with sizeable carbon emissions during manufacturing. Wood, unlike steel, is a renewable material, which makes it a sustainable choice. Our solutions have a number of functional advantages, such as making the operation of wind turbines more silent, solar production - more efficient, energy production - better distributed throughout the day and year. Our solutions have been developed in collaboration with leading European universities and research centres. Our partners and the InnoVentum team devoted countless engineering hours to R&D and testing. 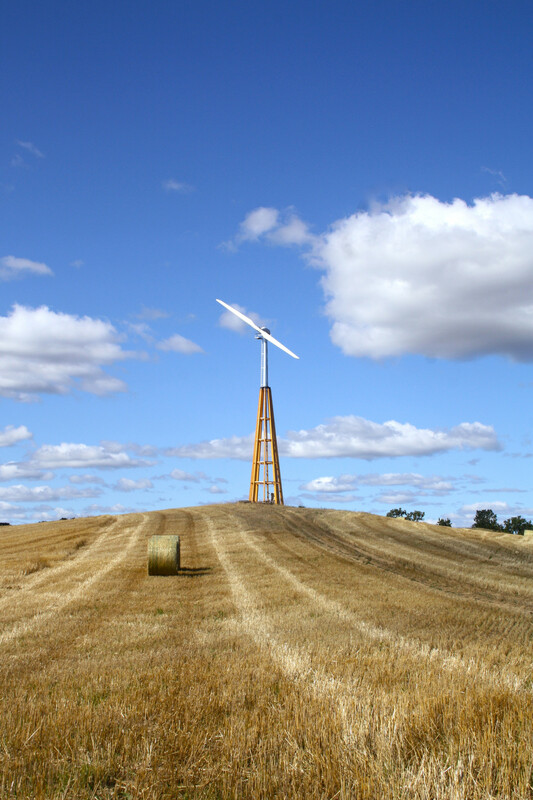 Our solutions are an eye-catcher in our customers' gardens and in public places - some even call them the most beautiful wind turbines in Sweden! We draw our inspiration from the great works of art, architectural landmarks and the world of nature. Our designs are unique and constitute an important part of our IP.